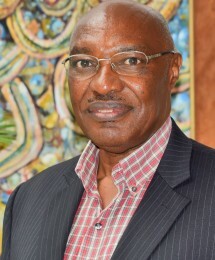 Dr. Thomas Kibua is a renowned expert in development economics, governance and management (including public finance management and institution building). He has consulted for and worked with government, private sector, non-governmental organizations and international organizations working in economic management. Dr. Kibua was the Deputy Governor of the Central Bank of Kenya from 1993– 2001 and Executive Director of the Institute for Policy Analysis and Research 2003-2008. Currently he serves as a member on the Kenya Markets Authority (KMA). Dr. Kibua has published extensively on public policy and public finance issues and lectures both at University of Nairobi and Strathmore University. Dr. Kibua has a PhD in Economics (University of Nairobi), M.A. in Economics (Yale University), M.A Economics (University of Nairobi) and a B.A. Economics (University of Nairobi). He is the Director in charge of Academic Programmes in the Institute of Public Policy and Governance (SIPPG).